According to the recent survey conducted by the QS World University Rankings, the University of the Philippines (UP) is still the top school institution in the Philippines. This 2017, it ranked 367th compared to last year’s ranked 374th. 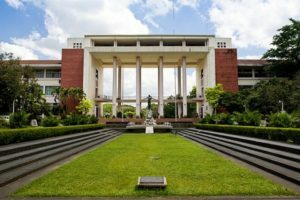 The University of the Philippines (UP) is the only university that improved its ranking as opposed to its counterparts and garnered a 32.9 overall score, as detailed by the reported news. “UP Diliman is not only the home of diverse colleges, offering 94 graduate and undergraduate courses, it also runs several centers of research, many of which have been declared by the Commission on Higher Education as National Centers of Excellence,” as stated on the official website of QS and quoted by Philstar.com. “UP Diliman affirmed its own commitment to modernizing its facilities and services. Many of the libraries are already computerized and are providing automated services. It has also identified specific growth areas, foremost of which are in engineering education, interdisciplinary programs such as Material Science, Technology Management and Archaeological Studies and International Studies,” QS added. Adamson University, De La Salle University and University of Santo Tomas somehow declined on the latest rankings.